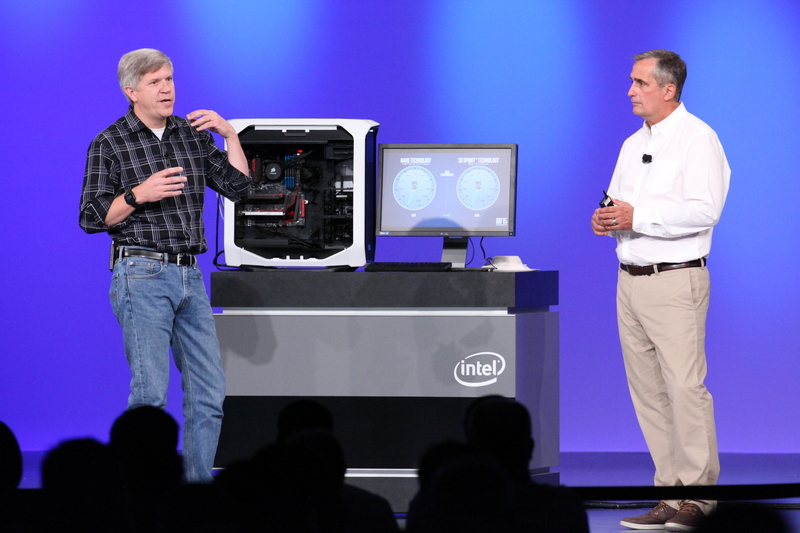 Intel is not only updating things on the HEDT side in 2016 but also bringing forth their latest Kaby Lake desktop processor platform for the mainstream market. Intel’s 7th generation core processors, codenamed Kaby Lake, will be based on the existing 14nm process node with further refinements to the design. Replacing the Skylake generation of processors, Kaby Lake isn’t expected to bring incremental increase to processor performance but will remain compatible with existing platforms while featuring support for next generation 200-series platform. 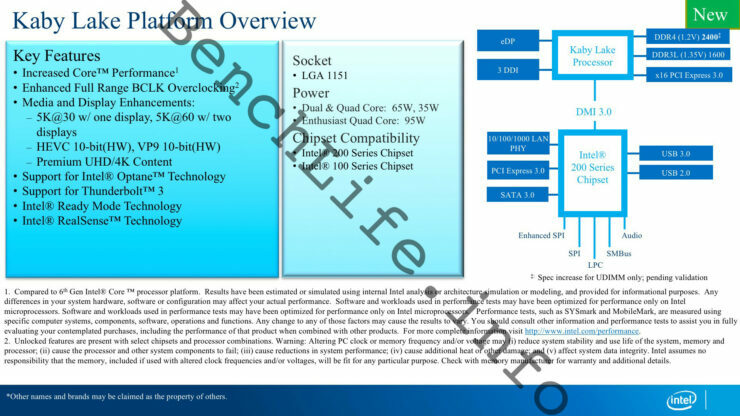 While we have previously detailed the full Kaby Lake processor lineup which includes the H, S, U, Y series chips, this article will solely cover the desktop chips which will be launching later in 2016, as reported by Benchlife. It has been revealed that Kaby Lake processors will retain support on current generation motherboards with the LGA 1151 socket. The more surprising bit is that Intel is yet again offering users a new chipset in the form of the 200-series chipset that will launch along side the Kaby Lake processors. Just like the transition from Z87 to Z97, the new 200-series chipset will mostly remain the same but will include increased I/O performance that is very important for the platform to be ready for Intel’s next generation Optane storage products that use Intel’s 3D XPoint memory architecture. 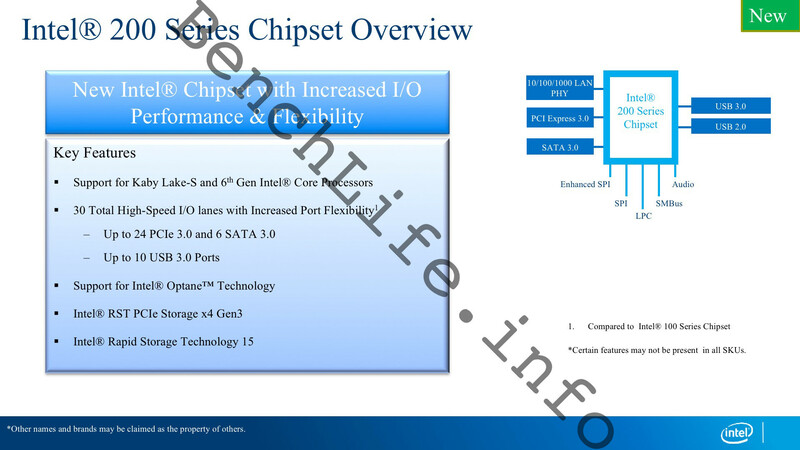 So the basic features of the 200-series chipset aside from supporting Kaby Lake-S processors will include up to 24 PCI-e 3.0 lanes (up from 20 on 100-Series Chipset), 6 SATA 3.0 and 10 USB 3.0 ports. Another crucial feature of the new lineup is that not only will the Kaby Lake processors be compatible with the current 100-series motherboards but Skylake processors, available today, will also be compatible with the 200-series platform. This cross-generation support will be quite useful, not only for new users but also existing user base that may see the need to update to faster processors in the Kaby Lake-S lineup. 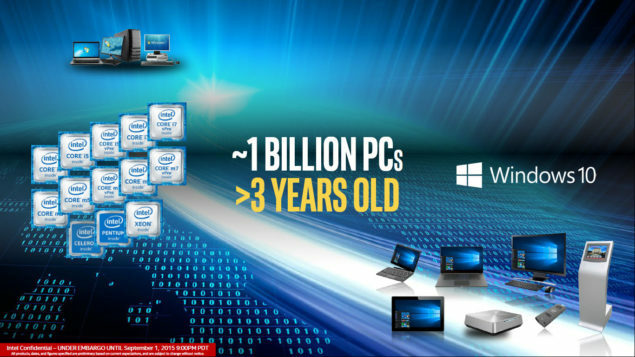 Intel’s disruptive Optane SSDs and DIMMs will be a major feature set for the 200-series chipset as the faster storage solutions will not only result in responsive PCs but also better system utilization that is otherwise bottlenecked by conventional HDDs and even some older SSDs. Intel Kaby Lake processors in general would be getting increased core performance (expect the usual 5-10% improvement) unless Intel plans to do something very different with Kaby Lake which seems highly unlikely. 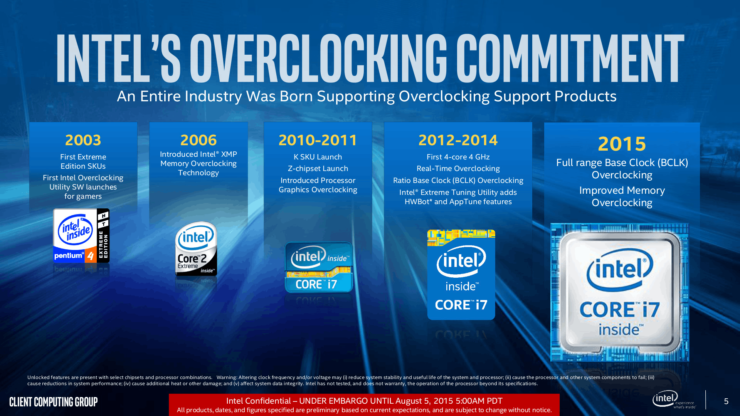 The processors will retain the basic features such for enthusiasts such as enhanced full range BCLK overclocking and 95W “Unlocked” options to choose from. While Intel has increased the core count on their enthusiast chip platform, things will remain the same on their mainstream platform with both dual and quad core (35W and 65W options) available to consumers along with the enthusiast quad core options. Other key features on the media and display side include 5K (30Hz) on one display and 5K (60Hz) dual display capabilities, HEVC 10-bit hardware decode, VP9 10-bit (hardware), UDH/4K display resolutions and support for Intel’s Thunderbolt gen3 support. As for the specific SKUs, we will see Kaby Lake-S (4+2) and Kaby Lake-S (2+2) SKUs. These chips will feature the GT2 graphics chip and feature integrated HDCP 2.2 support. There’s also a new Skylake 4+4e family planned for launch in 2016 which will be compatible with only KBL PCH-H (200 platform) which is surprising considering that Kaby Lake itself is compatible on both platforms while Skylake processors will require the newer platform for proper support. It kind of sounds like a repeat of the Broadwell-C series which was the only desktop chip launched in the Broadwell family that had GT4e iGPUs and vast eDRAM cache of 128 MB. For Kaby Lake, this eDRAM cache is increased from 128 MB to 256 MB and also offers several enhancements to the core GPU design structure to lift performance levels across the board. The Kaby Lake lineup is placed on a similar path like AMD’s Zen which is expected to hit the markets in Q4 2016 and will pack vastly improvement IPC and performance over the company’s older Bulldozer core and its derivatives.